The population of the valley is now some 10 times lower than 50-60 years ago. 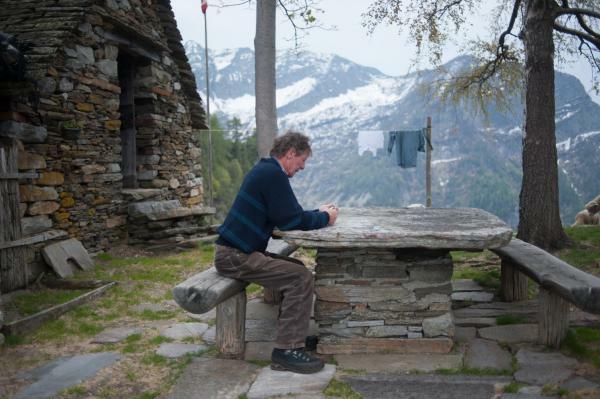 Also the persons who stayed in the valley rarely continue living in the same way as their ancestors. 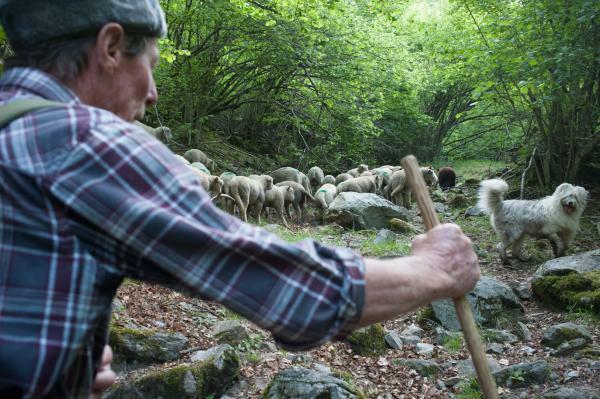 Only a few families continue raising sheep, cows or goats. 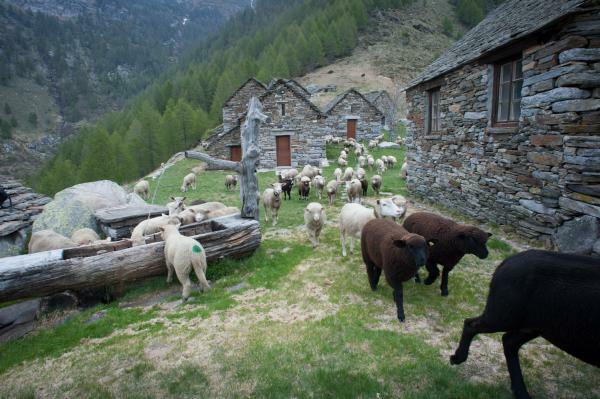 It is thanks to these families that we can still experience some aspects of the life in Verzasca the way it was throughout the centuries. April is the time of shearing. Unfortunately, the wool costs so little that at the end it’s currently not worth to sell it. Other uses such as for insulation are being examined. Once the sheep get rid of the heavy wool, they are much better prepared to face the upcoming hot summer. 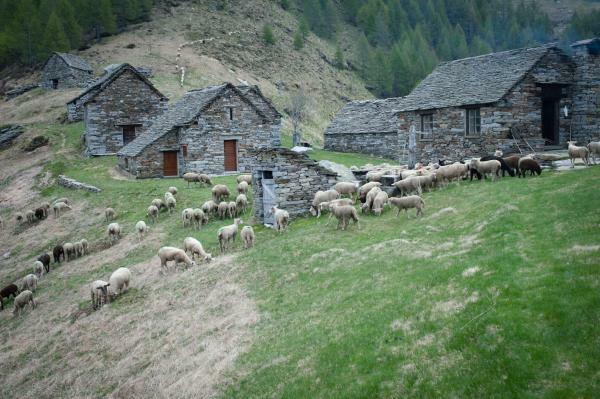 Early May is usually the time for the sheep to be taken to the higher pastures (alpe) in search for fresh grass. The shepherds leave in the early morning and their job is much easier if an experienced dog comes along. The dog will do much of the work for the shepherds. The first part of the trip is the most difficult one, requiring most attention. Then, after the first hour or so the herd finds the way up practically by itself, lead by a couple of experienced animals, already accustomed to the same annual trip, and very much eager to finally return to the high pastures. Only the young lambs that walk last seem very interested in exploring the area and need constant reminders from the shepherds following the herd or from the dog to continue walking on. 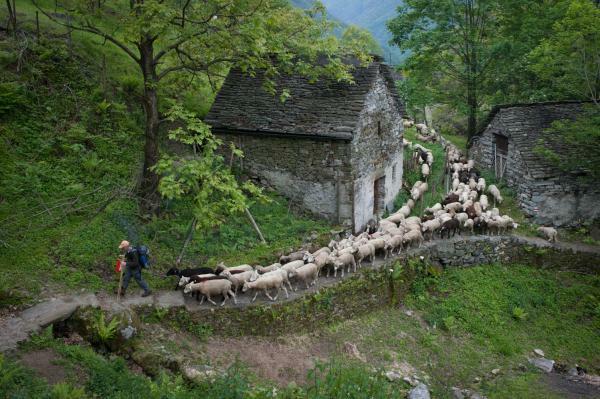 The first sheep arrive at the pasture long before the shepherds. The whole trip takes around 4 hours. After a few weeks at the first pasture it will be time to move on to another one. Meanwhile the sheep will stay up at the pasture all alone, there’s no need for the shepherds to stay with them. 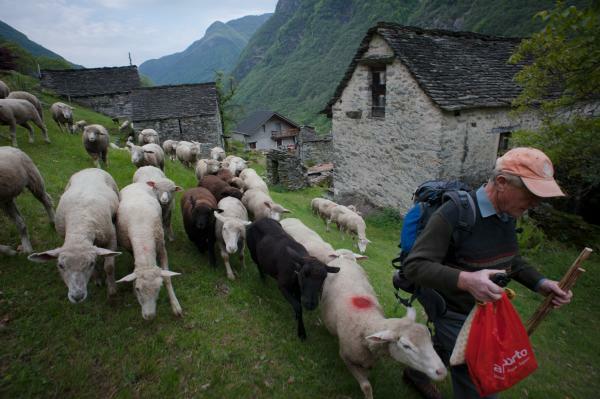 It was really interesting to join the shepherds in this trip. What we now use as hiking trails just for the fun of exploring the mountains, it used to be part of a hard life for the local population and maintaining the path in a good condition was very important. 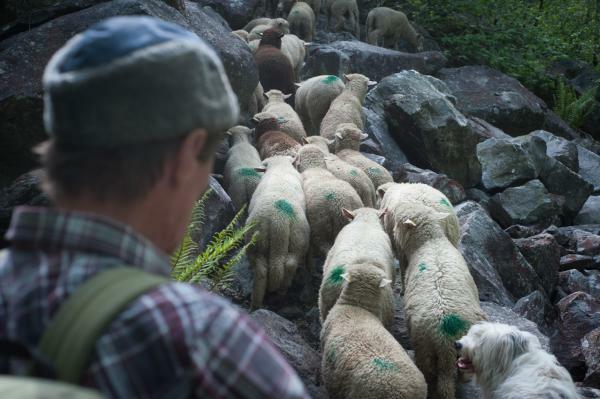 When asked at different points of the path, the shepherd would instantly indicate to you a stone step nearby put in place to make the trip safer for the sheep and the men. One that was put in place by himself, another one a few meters further by his great grandfather. I would like to thank Armando Foiada, Silvio Foiada, Maria Assunta Foiada for their help.